Frosty, the snowman awaits the children to discover the differences in the two pictures taken of him this winter. Have fun! 2nd part of the series of IDIOMS dealing with body parts. 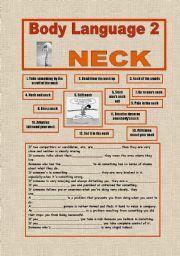 After the HEAD (http://www.eslprintables.com/printable.asp?id=346945#thetop) now comes the NECK. Figure it out in context. 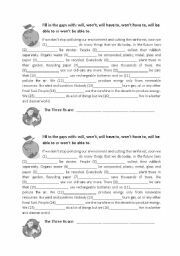 It is a very brief exercise to test my student´s knowledge of understanding some environmental vocabulary and the grammar point of will, will have to and will be able to. Hope you find it useful too. Oops a daisy, it´s a flowery ws. To solve these exercises is no bed of roses but surly you won´t turn up your toes to the daisies. 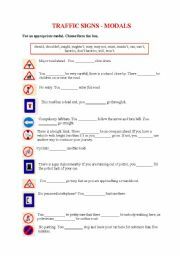 Exercises: matching, gap filling, reading comprehension. 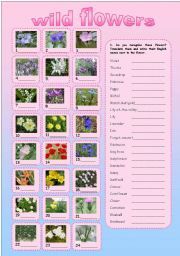 Look for flowery idioms, they can be used with this ws. Have a flowery time!! Nature conservation and World Heritage is the topic and the grammar point is articles. Simple gap-filling exercise with key. 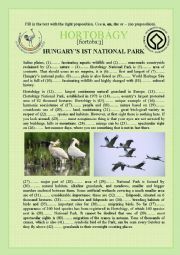 Learn about Hungary´s first and biggest national park the Hortobágy. Have fun. Learn 2 pages of MODALS and TRAFFIC SIGNS together! If you see a certain trafffic sign what you can, should, must or can not do. Very interesting, but not very easy!! Have a useful time with it! Key of possible answers included. Match the pictures and the names. 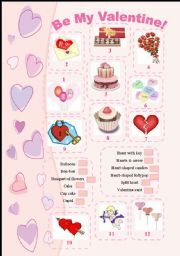 Introductory exercise to my Valentine´s Day Traditions. (also uploaded today). Have fun! 3rd part in the series of IDIOMS of body parts. This time ARM is in focus. Find the two halves of the explanations and rewrite the sentences. Use it with the other two: HEAD and NECK. Others to follow. Have a good time with it! Large, 9 pages worksheet, with immense amount of TAKE in it. 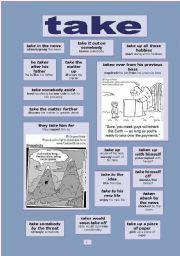 Contains explanations of the phrasal verbs, gap-filling, and rewriting exercise, answer key. If you liked my other ws with make-do,you will love it! I made this attempt to clear a bit the confusion in the usage of these four verbs. 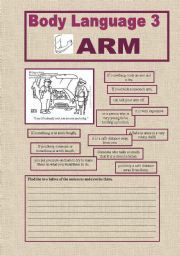 There´s some explanation, phrases some examples and also exercise. I did my best and I just hope I won´t confuse my students even more. Have fun! Weather words gap filling, multiple choice exercise. I had to divide the ppt into several parts, because of the size of the pictures. 2nd and 3rd parts also uploaded today. 4th part comes tomorrow. Have fun. 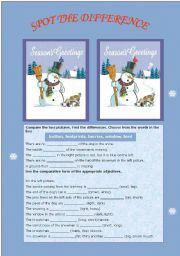 Affirmative, negative, interrogative forms of Simple Present as well as the verb to be and have got and some question words. I prepared it for beginners with simple vocabulary as a review of the tense. Instructions too are uploaded today, had to be separated due to the size. Enjoy the game! 4th part of my shopping for fruits and vegetables series. Have fun. Basic questions to choose from for complete beginners. Among others practice the difference between "How are you? ", "How do you do?" and "What do you do?". Clip art: Philip Martin. Twelve slides with animated clocks showing different times and after a click the solution. I enjoyed doing it hope you find it fun too. Don´t worry that the hands look the same on the slides, they move when played in the slideshow. Weather words gap filling, multiple choice exercise. I had to divide the ppt into several parts, because of the size of the pictures. 1st and 3rd parts also uploaded today. 4th part comes tomorrow. Have fun. 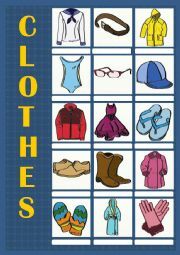 Weather words gap filling, multiple choice exercise. I had to divide the ppt into several parts, because of the size of the pictures. 1st and 2nd parts also uploaded today. 4th part comes tomorrow. Have fun. It is a hangman game. Vocabulary related to crime. Definitions help the students figure out the word. First part also uploaded today. Have fun!